This week, I’m sharing a classic recipe that is one of my most-requested by family and friends at this time of year! 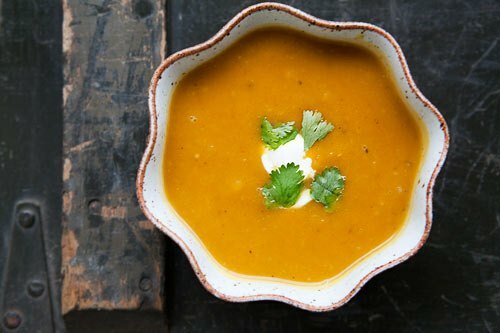 With the weather getting cooler, I love making this butternut squash soup because it is SO easy and super delicious too! I hope you enjoy it as much as we do! Sauté onion in butter, add remaining ingredients and bring to a boil. Reduce heat and simmer until squash is tender. Puree, add coconut milk in pot, and then add puree and reheat. Add salt and pepper to taste. For extra creamy soup, add 4 oz. vegan cream cheese after you’ve pureed and reheated the soup. Enjoy!